I don’t know why it’s always such a shock to me when I go into Sephora, Ulta, Nordstorms or any beauty store for that matter and see how much all these high end products cost! It’s nothing new, high end products have always been pricy but what do you do if you can’t afford Sephora or Ulta? I find the best way to experience multiple products from high end skin care, makeup and nail polish without breaking the bank is to sign up for a monthly beauty membership. 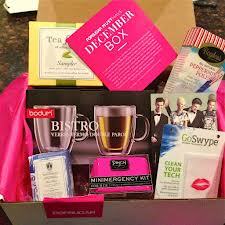 I am a member of Birchbox, Ipsy, Julep Maven and PopSugar’s Must Have Box. These beauty memberships range anywhere from $10.00 a month with free shipping to $35.00 a month. How it works: Sign up for a beauty membership program that best fits your lifestyle and budget. You will receive each month a fabulous little beauty treat in the mail from deluxe samples to full size products. I have been extremely impressed with PopSugar’s Must Have Box. Each month I get unbelievable beauty fashion and lifestyle products. For the month of June 2013 I received a beautiful nautical scarf by Gorjana & Griffin, full retail size of Juice Beauty Stem Cell Repair Moisturizer, Hard Candy Fitness DVD Addicted to Sweat 4, Revenge Wears Prada: The Devil Returns hardback book, Project 7 Quench The Thirsty Wintergreen Mints and Gluten Free Indiana Fit Popcorn. It is on the higher side for cost for monthly beauty memberships but I feel from what I get it’s totally worth it. You can also watch me open the very first Must Have Box from July 2012 below. Check out my ultra cool stripped summer scarf that I got this month on my Urban Decay vs Revlon Foundation Showdown. Let me know what your favorite monthly beauty subscription is or if there are others you are curious about and would like a review. I hope this review the price of beauty helped you.